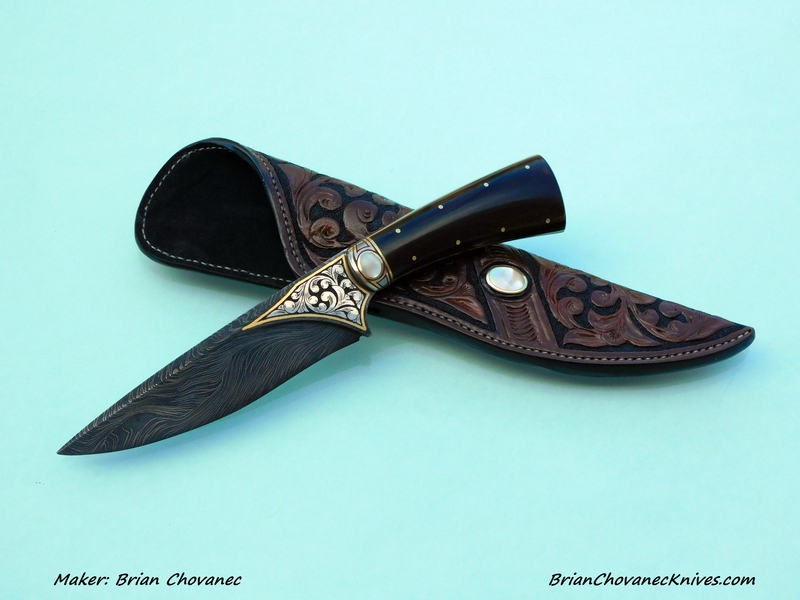 Discussion in 'Custom & Handmade Knives' started by bccustomknives, Nov 4, 2018. Hengelo_77, tyyreaun, Grenock and 5 others like this. 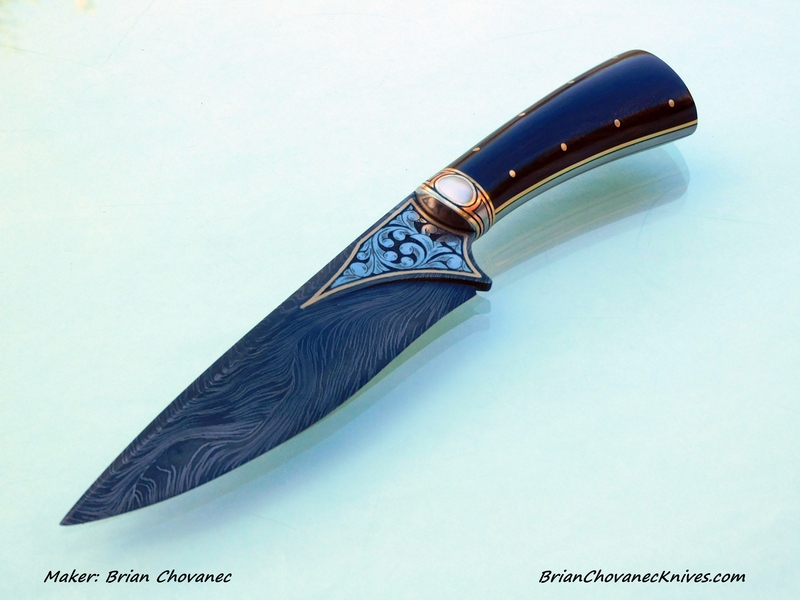 That is an awesome knife Brian! Like a work of art, beautiful! 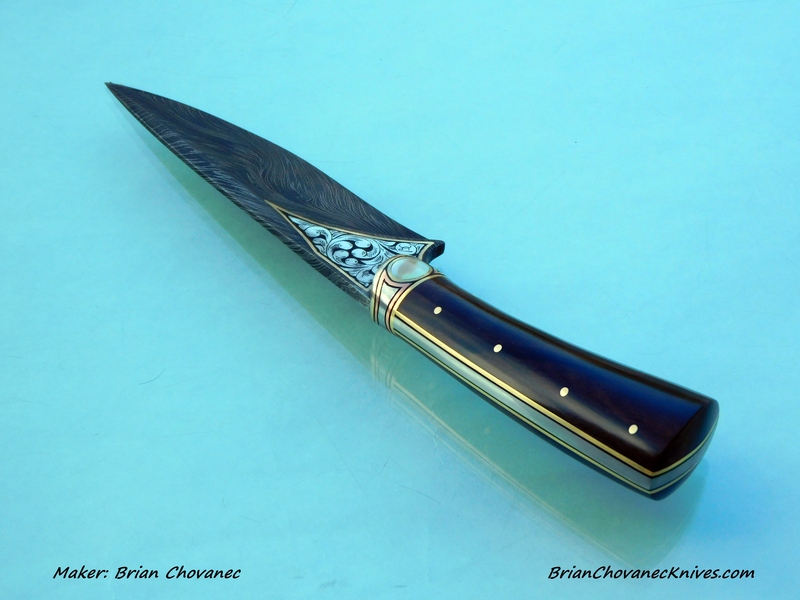 Everything Brian does is a true piece of artwork which is why I so enjoy seeing each knife as it comes from his shop. Another winner Brian. 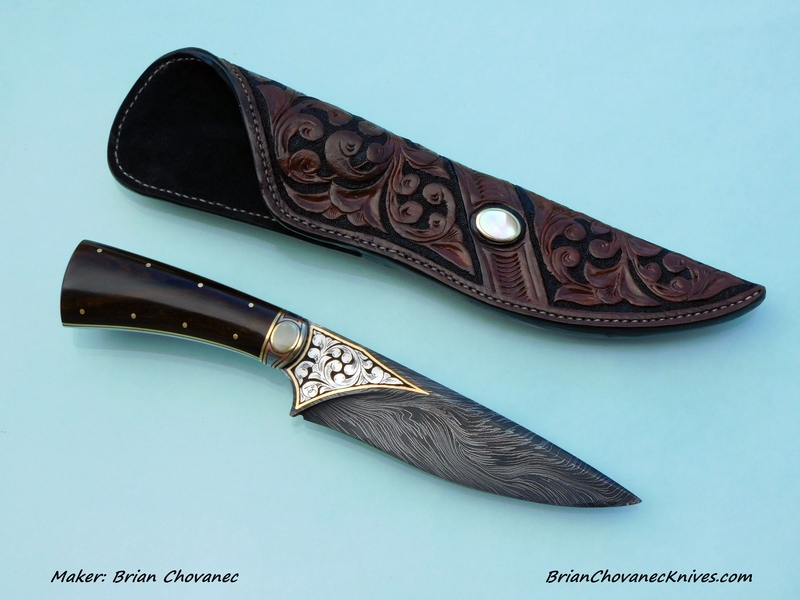 Stunning knife, love that River of fire damascus. 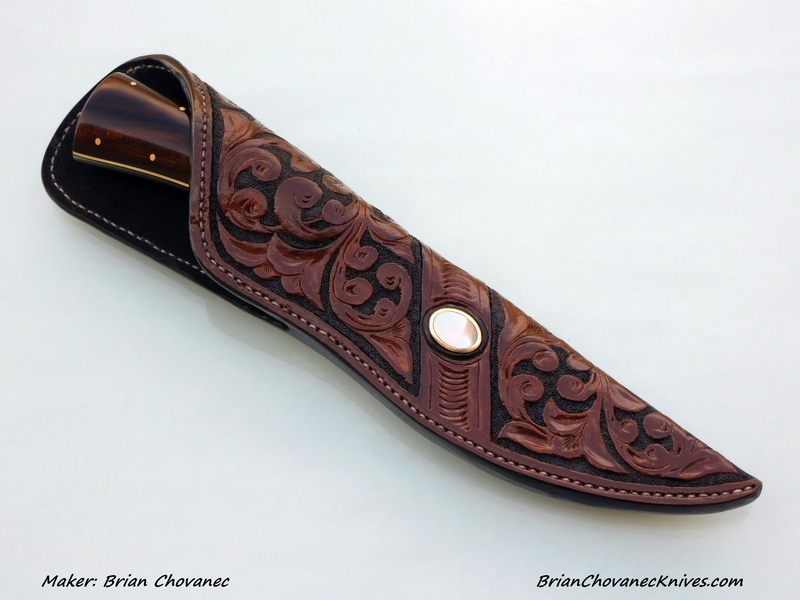 Gorgeous work, Brian. 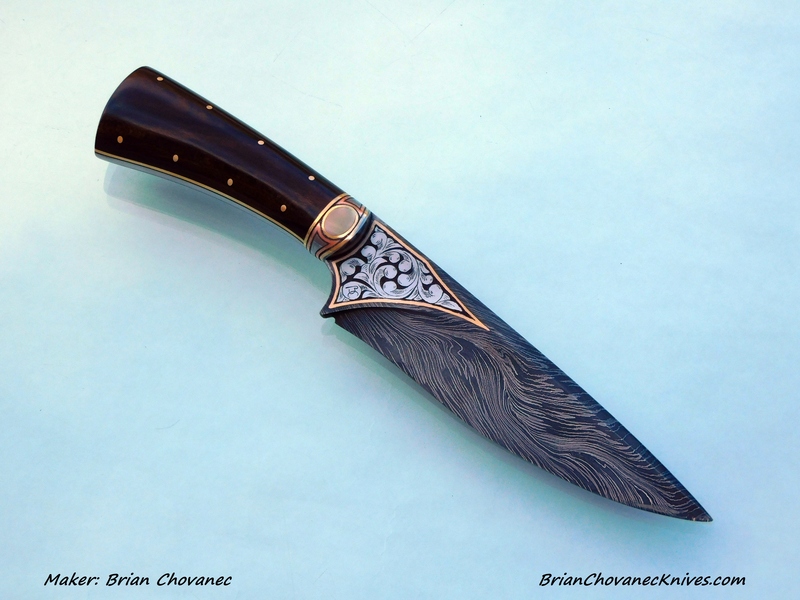 The bronze accents really pull it together, How did you engrave the floral pattern in the Damascus steel? 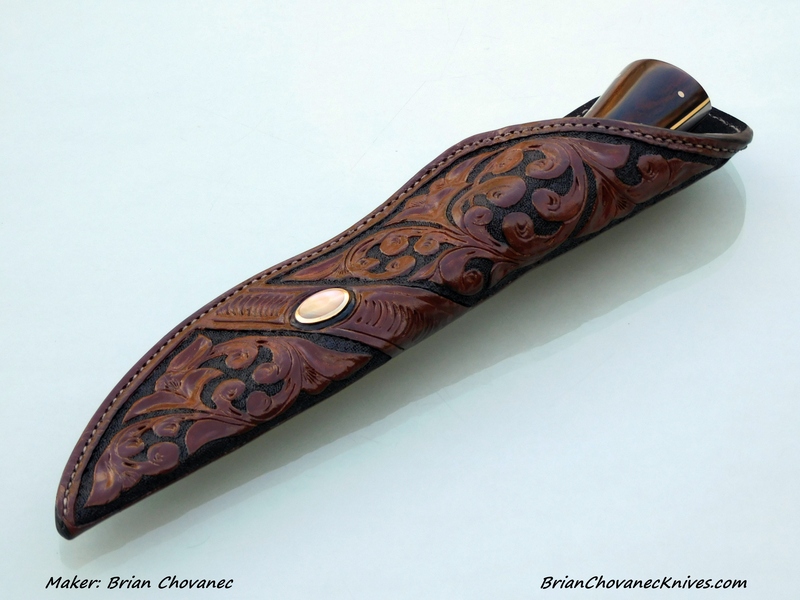 especially carrying over your scroll engraving from knife bolster to leather carving. nice details ! i love the yellow liners. 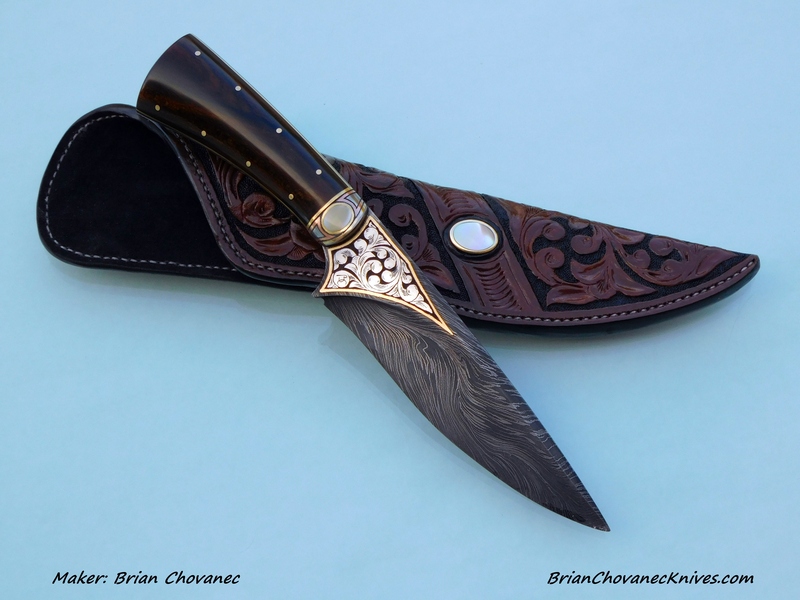 Don't take this the wrong way but, I love seeing the pictures of the knives you guys make. But it just reminds me I'm never going to make it to that level. Man you make some pretty stuff. Very cool combo of materials, textures and finishes. Whole package is great!